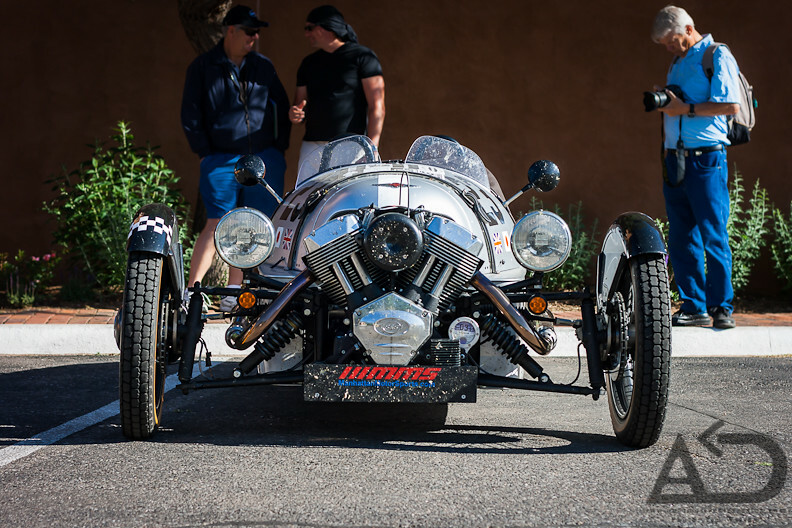 Fans of Top Gear may recognize this odd machine, the Morgan 3 Wheeler, which was driven by Richard Hammond during one of many of the guy's challenges. Power is provided by a V-Twin engine which is matted to a Mazda 5 speed transmission that drives the single rear wheel. It's not a powerful car, but with its narrow tires and sub-1,200 pound curb weight this unique piece of British history looks like a lot of fun to drive! 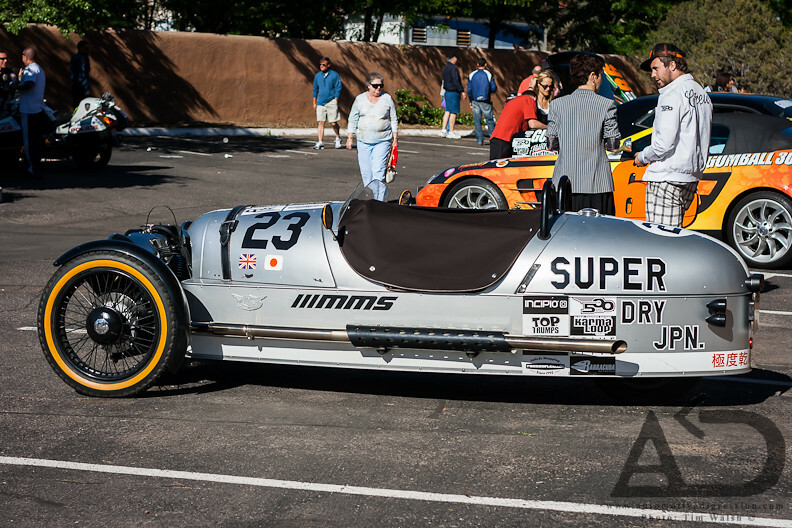 Categories: "3 Wheeler", "Gumball 3000", "Morgan", "Video", "doughnuts"